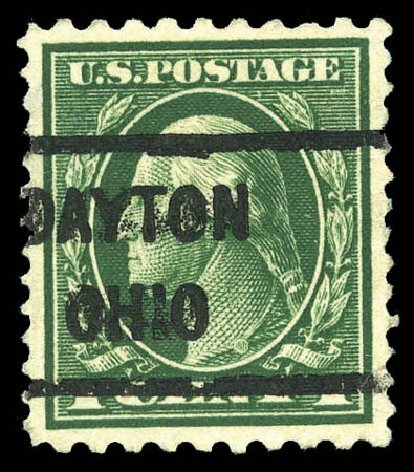 USA (Scott 423D) 1914 WASHINGTON 1¢ GREEN, COMPOUND PERFS 10×12 Genuine Compound Perf example with usual Dayton, OH, precancel. 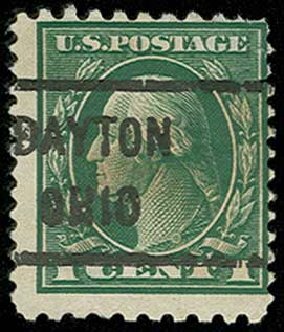 Only 42 known, 34 of which precanceled Dayton. Few shortish perfs per 2014 Weiss Cert, fine to very fine. Cat price $12500. 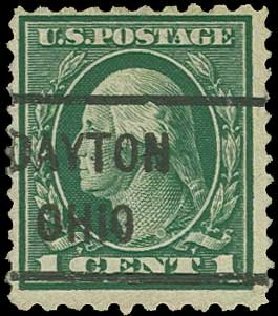 1c Green, Perf 10 x 12 (423D). Rich color and proof-like impression, neat wavy-line machine cancel, completely sound FINE-VERY FINE. 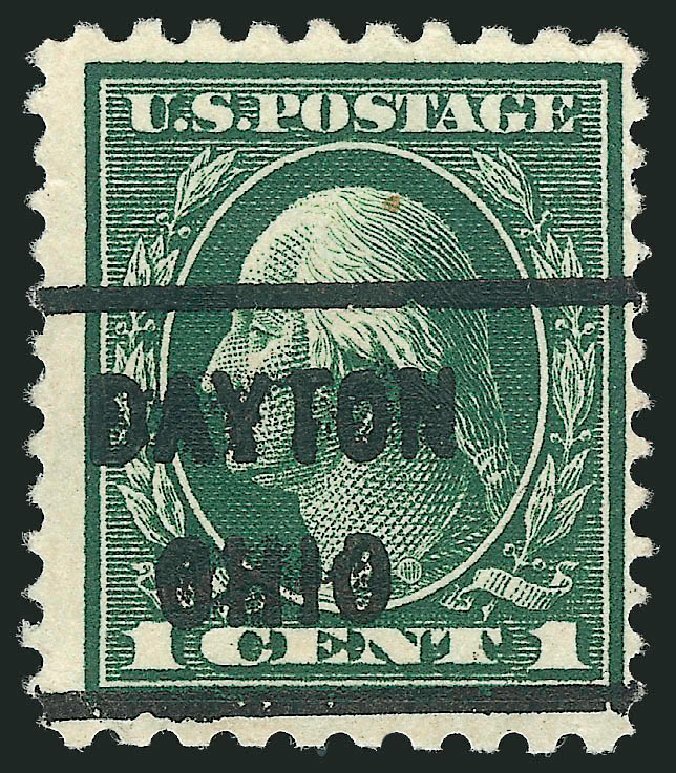 ONE OF ONLY TWO CONFIRMED SOUND USED EXAMPLES OF THE RARE 1914 ONE-CENT PERF 10 x 12 ISSUE WITHOUT PRECANCEL. A PHENOMENAL RARITY. 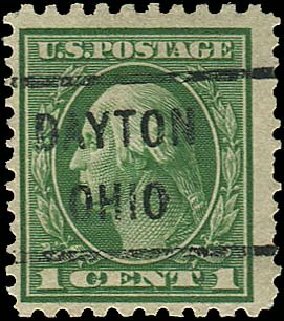 Our census of Scott 423D, available at http://siegelauctions.com/dynamic/census/423D/423D.pdf , contains 41 stamps. All are used. 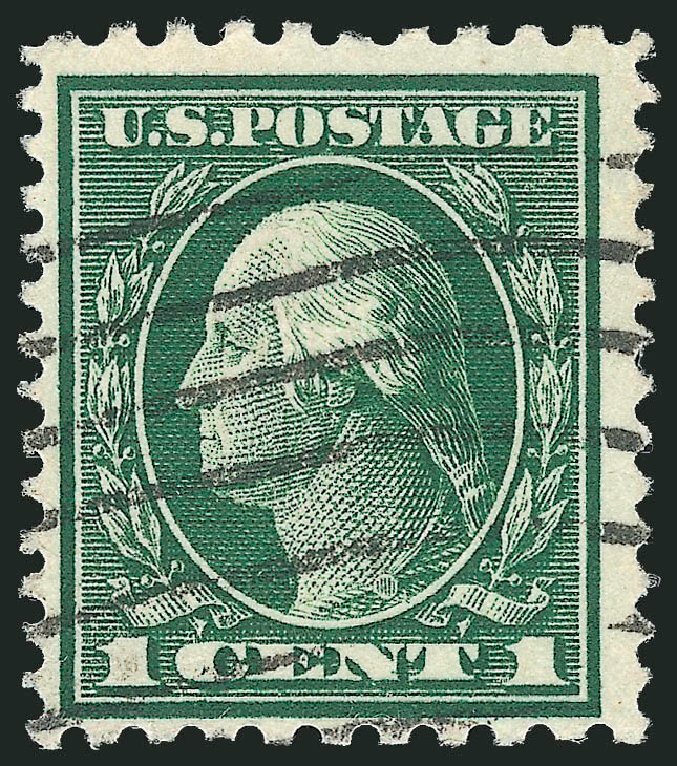 Only four do not have precancels, including one which has never been certified and one which has not been seen in a very long time (it has P.F. certificate no. 8701). Therefore, this is one of two confirmed sound examples of this issue without a precancel. Census No. 423D-CAN-09. With 1999 P.F. certificate. 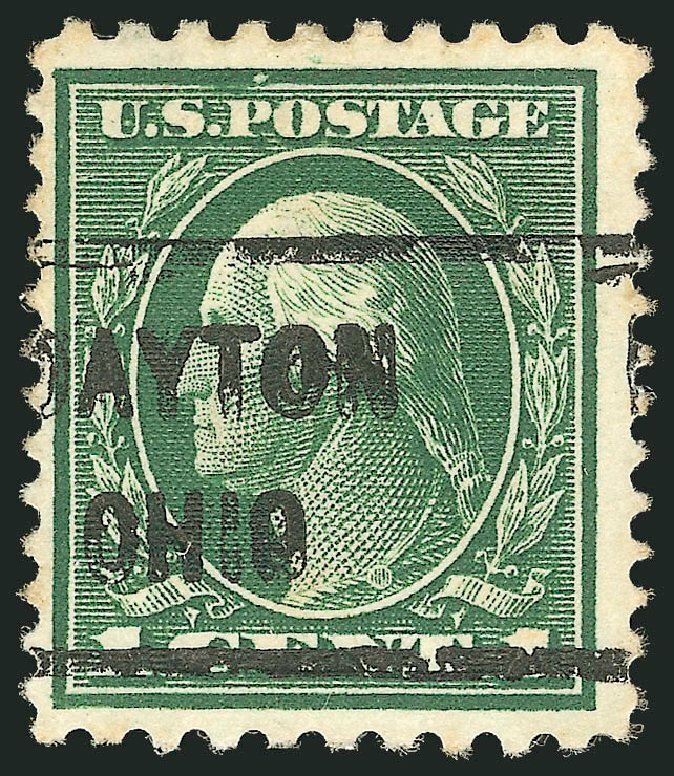 o 1914, 1¢ green, perf. 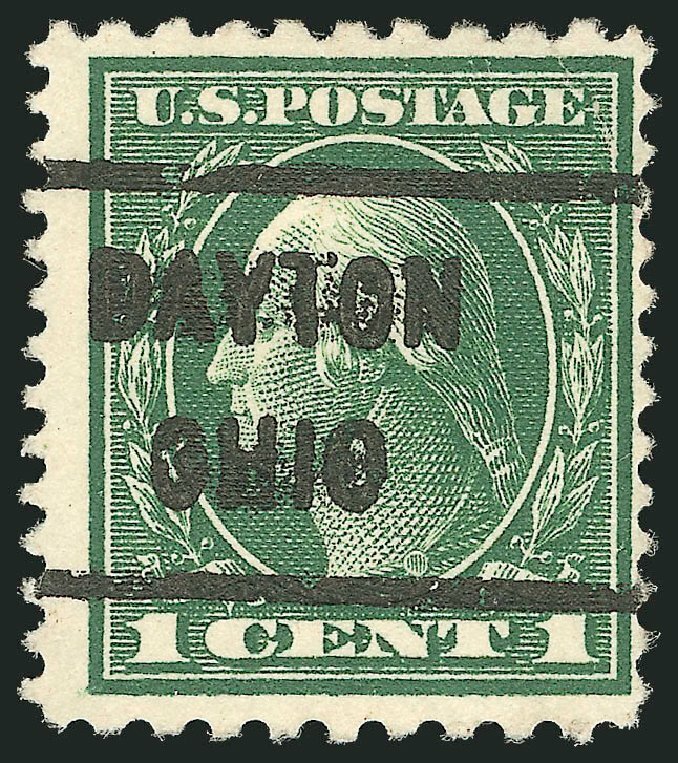 10×12 (423D), precanceled Dayton, Ohio, fresh and perfectly centered with, two small thin spots and a light corner crease; choice Extremely Fine appearance. Scott price $20,000 ARGUABLY THE BEST CENTERED AND THUS THE MOST ATTRACTIVE OF ALL RECORDED EXAMPLES.